They are classics for a reason, great quality that stands the test of time! Will post some "classics" periodically for your reading pleasure. 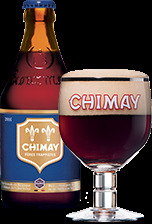 Chimay has been stocked in our stores for at least 30 years! I cannot remember a time when it was not on our shelves. Abbey Dubbel: These are dark, malty, yeasty strong ales in the Trappist tradition, but produced (mainly) by secular brewers. Dubbels range between 6.5-8% abv, and have a dark brown, cloudy colour, and a palate mixing malt, a lush fruitiness, and yeast. They are typically bottle-conditioned. Ingredients: Pilsner malt (French barley from Champagne); hop extract from German Hallertaur (aroma) & American Galena (bittering) hops. Yeast & liquid invert sugar added to the bottled beer. 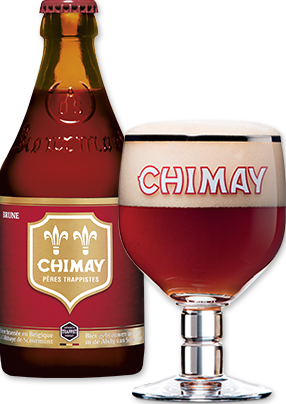 Chimay Red is noted for its coppery colour which makes it particularly attractive. Topped with a creamy head, it gives off a light, fruity apricot aroma produced by the fermentation. The taste perceived in the mouth is a balance confirming the fruity nuances noticed in the fragrance. Its taste, which imparts a silky sensation to the tongue, is made refreshing by a light touch of bitterness. To the palate, the taster perceives a pleasant astringency which complements the flavour qualities of this beer very harmoniously. This top fermented Trappist beer, refermented in the bottle, is not pasteurised.